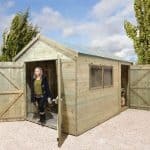 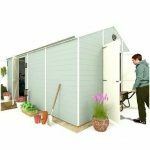 This is a very small shed which works perfectly in limited spaces or for those looking for a secondary building. 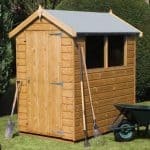 Constructed out of hard wearing and long lasting wood, it has a generous single door and a smart Apex style roof. 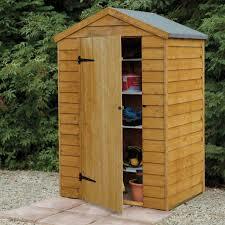 Inside there is room for light gardening equipment, light furniture and children’s toys. 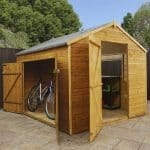 The wood is 8mm overlap and dip treated and this has a 10 year anti rot guarantee so it will retain its good looks. 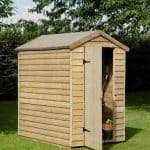 This product is delivered and assembled at home for your convenience.